As-U-Type 3.2 is office suites & tools software developed by Fanix Software. Type more accurately and much faster with this OS-level real time spell check and speed typing software. 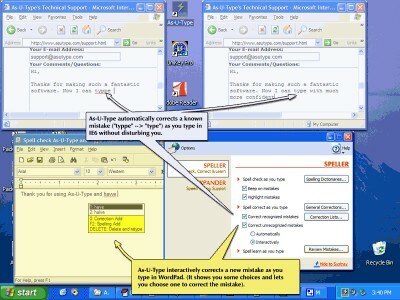 It can learn and adapt itself to your keyboarding habits, spell check and automatically correct spelling mistakes as you type, automate difficult and repetitive typing tasks, and apply several other innovative solutions to protect you from making unwanted typos and save you lots of time, giving you accurate and fast typing in all applications. This program is shareware, which means you can download and use As-U-Type 3.2 for free during 30-days trial period. After this period you gonna have to buy As-U-Type 3.2 software for $39.95 or uninstall the program. 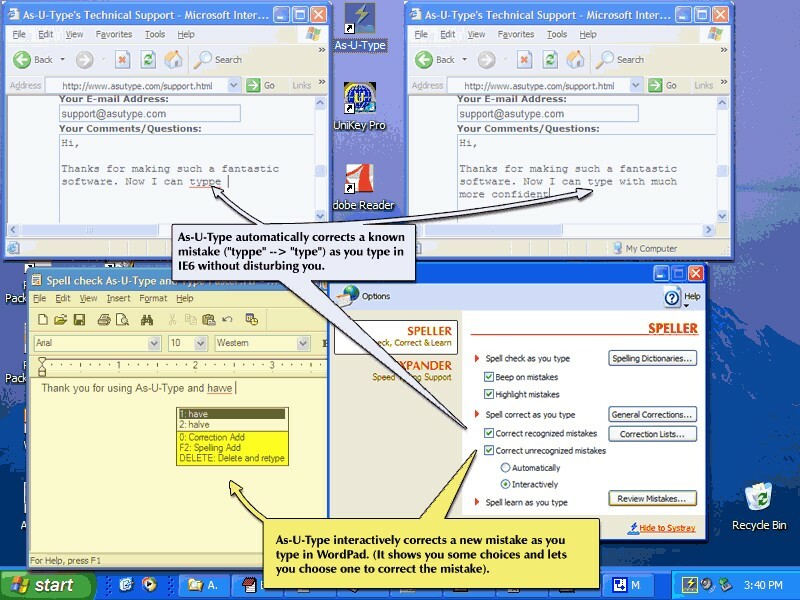 As-U-Type 3.2 supports English interface languages and works with Windows XP/Vista. We have tested As-U-Type 3.2 for spyware and adware modules. The software is absolutely safe to install. Our website has thoroughly tested business product As-U-Type 3.2, written the review and uploaded installation file (3310K) to our fast server. Downloading As-U-Type 3.2 will take minute if you use fast ADSL connection.